Prime Minister Kamla Persad-Bissessar today sent greetings to the Hindu Community on the occasion of Maha Shiva Raatri, which is being celebrated tonight in temples and homes throughout Trinidad and Tobago. The ancient festival is dedicated to Lord Shiva, the destroyer of evil in the holy Hindu trinity of Bramha (the creator), Vishnu (the preserver) and Shiva. “The symbolism of this event sends an important message to all our people that devotion and spirituality are vital components of a progressive society,” the Prime Minister stated. Maha Shivaratri, which means ‘Great Night of Shiva’, is a celebration of the marriage of Shiva to the goddess Parvati, or Shakti, uniting two of the greatest forces in the universe. 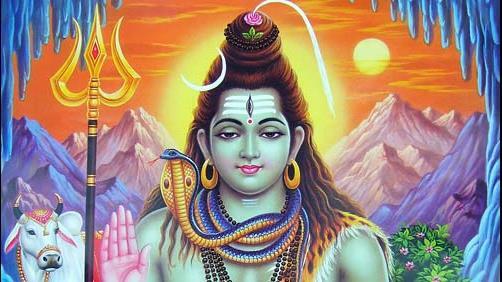 Hindus fast in preparation for prayers on this auspicious day, and keep an all night vigil, worshiping Shiva. At midnight and continuing until midday the next day, they participate in the rituals laid down in the Hindu scriptures. The vigil symbolizes a constant readiness to deal with forces of evil. According to the scriptures, Maha Shiva Raatri includes rituals for the purification of the soul and the lighting of oil lamps, which signifies the attainment of knowledge. Prayers are an indispensable part of the Maha Shiva Raatri worship, be it a simple ceremony at home or grand temple worship. “On this auspicious day I send greetings to devotees everywhere and hope that they will get Lord Shiva’s blessings for a better, more prosperous tomorrow,” Mrs. Persad-Bissessar said.